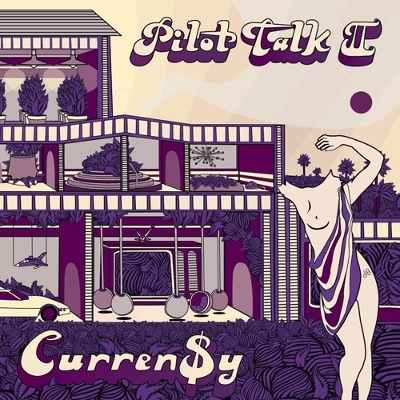 For anyone who thrilled to Curren$y’s excellent major label debut, Pilot Talk II, released a mere five months after Pilot Talk, offers more of the same. This sequel may sound overly familiar since the New Orleans rapper, Trademark Da Skydiver, and Smoke DZA predictably riff on “good weed and broads, spaceships and stars.” However, rewind material abounds, from the zoned-out grooves of “Michael Knight” to the languid guitar strolls on “A Gee.” “Ain’t nothing changed but the weather,” he says on “Famous,” and his ability to elucidate his bourgeois ambitions with sharp lyricism is all that matters. This entry was posted in Reviews, Short Cuts and tagged Curren$y, DD172, Rhapsody. Bookmark the permalink.